Ok, so I don’t think I can believe we’re at the end of October – 2017 is nearly over and we’re well into winter. This year has flown by way too quickly, but I’m happy for everything I’ve achieved, and I can’t wait for 2018 – I think it’s going to be a good one! But, before this transforms into a New Years post, I should probably get on with the skincare, because it’s a good one. I think it’s a universal wish, that as nights get longer, everyone wants their skin to stay as glowy as possible. After all, nothing dulls your complexion than sitting inside all day and night! 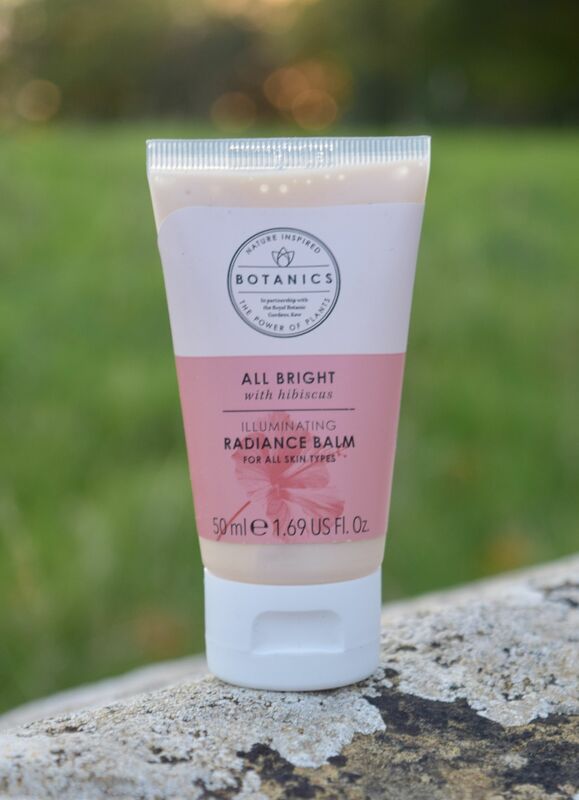 So Boots have a genius, and incredibly easy way to fake a healthy glow – their All Bright Illuminating Radiance Balm. A little of the formula either on top of or instead of your moisturiser, depending on your skin type leaving skin absolutely transformed! The pink hue really gives skin a healthy glow, whilst the formula adds a much needed does of radiance.